One of the biggest obstacles for adoption of Angular in the enterprise is technical, but not of the nature that one could expect. It's hard to convince our boss to use Angular in our next project if we can't even install it in our own PC ;-) ! We would probably want to do an early demo or prototype to get things started. But many companies have corporate proxies and security policies that make tools like npm hard to try out for the first time. One of the biggest features of AngularJs is that it does not come necessarily with all the tooling ecosystem, and can be used via simple script tags. Angular in principle can also, but we really want to use it together with Typescript, the Angular CLI and all the tooling ecosystem. So how can we solve this? Let's have a look at some tips and tricks that will likely help you get things going in this new world of node based tooling at your company. Below you will find a video with some tips and tricks that you might want to have a look into. After this post, a good follow-up is this post, where we will also setup Yarn, the Angular CLI, and an IDE. This is a video version of this post on YouTube, subscribe to my channel for more videos like this. If you are installing node and don't have admin rights, at least a while ago this was not possible using the download link on their site. This is because the installer tried to make an entry in the registry and this is typically forbidden in most companies. If this is still the case, or the npm website is blocked, you can still download node and npm as a zip file and install it manually. For tooling its better to download the latest version, and not the long term support version. Command line tools very quickly break with the long term support versions. What tends to work best is to use the LTS only if we are running node as a server, and use the latest version for the command line tooling. A great thing to have with node command line tools is a Bash shell, even if you are running on Windows. This is because like that you don't have to use one shell on the server and another on your PC, so fewer things to install and commands to keep in mind. Also if you like to use NPM scripts, it's great to be able to use some shell commands if needed. For more complex builds we want to look into Webpack or Gulp but for certain things it's great to have Bash around. This is not mandatory but it's a great thing to have when using npm, and a good way of building npm scripts that work both on the server and on a developers PC. If you go that route then everyone on the team would need to have Git bash installed. Note that during installation, there is a checkbox for integrating Git Bash with Windows explorer. 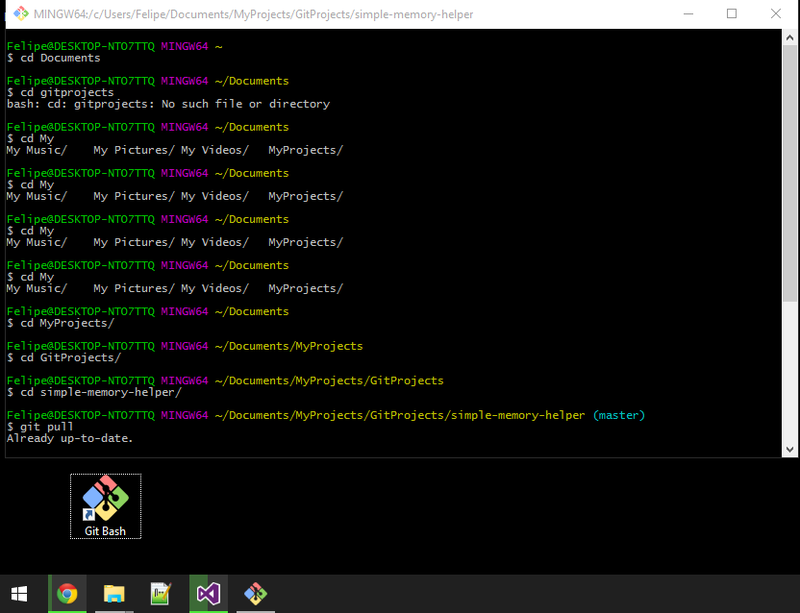 This is to right click on Windows Explorer and be able to do Git commits. You can still install Gitbash without admin rights, but you will have to make sure that checkbox is unchecked. Once we have node, npm and a Bash shell running in our machine, we want to have a way to quickly switch and upgrade between node versions. There are a couple of tools that we could use to do that: nave and nvm. With this we have node, npm and a bash shell ready to go. But if we run npm install of a package, we will probably at this stage get an installation failure due to network connectivity issues. The best place to start troubleshooting connectivity is to see if you can access the npm registry in your browser. Head over to this url, can you see some content or does the proxy block it ? Plus some packages are downloaded straight from Github. You will want to see if you can access Github as well, without that you will run into issues eventually as certain packages will not installable without Github access. If you have proxy credentials to access the internet, let's at this stage add them to the configuration of npm. Depending on your company security policies and if they are proxying HTTPS as well (this is done in a lot of banks for example by introducing a self-signed certificate in the browsers of your company computer), you might run into HTTPS issues. If you don't know the proxy coordinates, it might be the same as your Windows PC user and password, or email and password, in case a single sign on system is in place. It's better if in doubt to ask a proxy user for these purposes to the IT infrastructure team. This is important to be done temporarily, while a better long term solution is not in place. On the long term this would open up your build system to malicious code injection. We will see further how to avoid that and make sure we are running the right code in production, but having a working HTTPS connection towards the npm registry is essential for that to work. If your corporate is blocking requests, it might be that your open source tool does not work with that particular proxy. Windows proxies are notoriously hard to get working with open source tools. A solution for that might be to run a development proxy in your computer, that connects to the corporate proxy. A development proxy is a good tool to have in our toolbelt as it helps troubleshoot all sorts of other problems as well, sometimes we need more than the Chrome Dev tools network tab although its rare. A very minimal development proxy that works well with Windows proxies is Cntml. So one option is to use your windows credentials to connect to the Windows proxy, and connect your tools to Cntlm. Cntml is a great tool but its only a small process with a config and a log file. Another development proxy that comes with a great UI as well is Fiddler. We can have an in-house version of the official npm repository running in our own company, in case using an external repository is not an option which is often the case. Npm enterprise is an in-house self-hosted version of npm, it uses CouchDB as a persistence mechanism. With a few tricks, it's possible to install a good development environment without the need for admin rights on your development machine. Once we have these base tools installed, we are ready to continue with the setup: let's install a package manager, the Angular CLI and an IDE. All of this is covered in the post Angular For Beginners Guide - Getting Started (Setup Development Environment), where we will also setup Yarn, the Angular CLI, and an IDE. I hope this post helps in getting started with your development environment! Any issues or questions please let me know in the comments below.